Our customer was building a third and largest location of their Sports Bar and Grill and wanted a clean TV installation with ease of use for the staff. The project included approximately 50 TV’s, 5 different audio zones, distribution of 5 Cox cable boxes, 5 DirecTV receivers, and 2 AppleTV’s to all of the TV’s. An automation system from Elan Home Systems was chosen to control the massive system along with a HD modulated video distribution system. Any TV in the system can be controlled independently and the programming can be selected on any of the video sources. Audio in any of the 5 zones can be selected and controlled. All of this is accomplished with the Elan g! app on any of the staff’s smart phones or a wall mounted tablet. 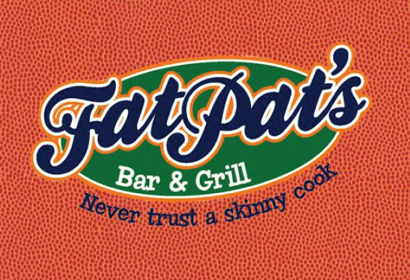 The Elan system has worked flawlessly and has given Fat Pat’s the ability to deliver a superior entertainment presentation along with their incredible food offerings. The staff can easily select programming for the individual table TV’s to suit their patrons viewing preferences giving them a personalized experience. They can also select multiple sporting events on the wall to wall TV’s in the bar area giving all sports fans their game of choice. With all of this to offer to their customers there is no question why this has become the go-to place in Carencro.